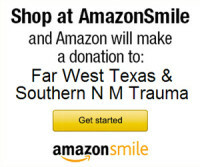 "To advance the Far West Texas / Southern New Mexico trauma and emergency healthcare system through prevention, education, preparedness, and response." In 1992 the Texas Board of Health divided the state into 22 regions called “trauma service areas.” A regional advisory council (“RAC”) was formed in each region to develop and implement an inclusive emergency health system. In the southwest region, the “Border” RAC is based out of El Paso, Texas. BorderRAC encompasses the Texas counties of El Paso, Hudspeth and Culberson plus the New Mexico counties of Catron, Dona Ana, Grant, Hidalgo, Luna, Sierra and Otero. Within the region are urban, rural and frontier areas representing over 40,000 square miles with a population over two million. BorderRAC is relied upon to unite regional medical providers and serve as a strategic partner for the Texas legislature, state and local agencies, and most importantly for the health and welfare of our region. BorderRAC is integral to helping hospitals and other healthcare organizations in emergency preparedness to respond to a wide-scale natural disaster or terrorism attack. BorderRAC is a healthcare coalition with a comprehensive interprofessional membership of hospitals, EMS, and other healthcare agencies and has expanded its role. BorderRAC committees work to reduce injury, illness and preventable deaths in the areas of trauma, stroke, heart disease, pediatrics, and neonates. BorderRAC is a 501 (c) (3) non-profit organization dedicated to helping residents of our region in the education and prevention of injury and disease and healthcare emergencies and disaster preparedness. El Paso First Healthplans, Inc.